I have saved my favorite TV shows on my hard drive. The problem is that all the episodes are in one big VOB file. Now I want to cut it up with each episode independent and remove several undesirable parts out of the video. How can I manage to cut VOB files without any loss of quality? What video program should I use? Thank you in advance for your help. As the container format of DVD video media, VOB format is widely used to keep different videos nowadays. Similar as the man above, there are some cases where you need to split VOB files and you may try many different ways to cut those unwanted clips. The following tools are recommended to you for your option. Video Converter Studio is a well-received video cutter for videos in various formats, which will assist you much on how to cut VOB files. Not only can it help you to trim VOB files to any part, but also it can edit the VOB file to create better effects. Look at the follow steps to learn how to make it. Download this VOB video cutter and install it on your computer. Launch it to click “Add files” button to import the VOB video or you can directly drag the file into the video. Once finished, you can click “Edit” button to begin editing video. Hit on “Add Trim Maker” and you can cut these VOB files. Click “ok” and further hit on “Convert” button to save those needed parts. 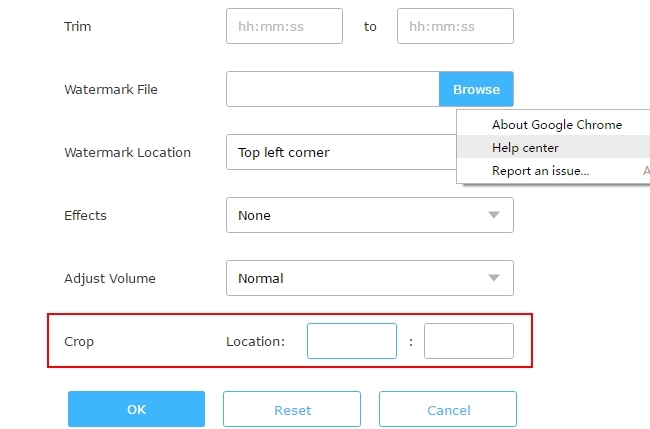 This tool also allows you to keep files in other different video formats such as MP4, MOV, ASF, DV, VOB, HTML5, FLV, SWF, HEVC, AVI, MKV, WMV, H.264 and 3GP. This best VOB cutter is a good option for splitting VOB files and guarantees original quality in the same time. Besides, it also comes with other desirable editing features. 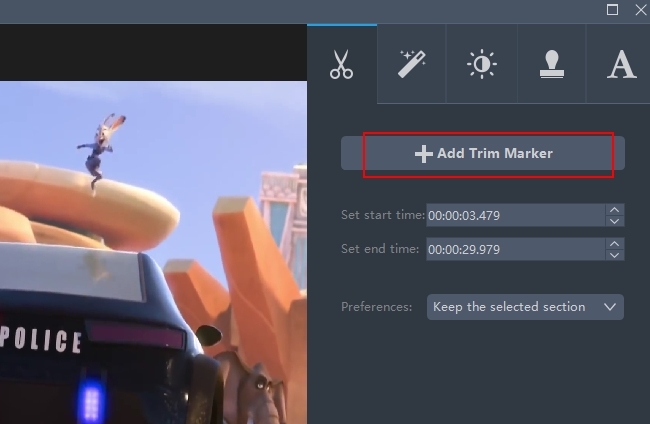 You can use this tool to merge several videos into one and add watermark or text to personalize the video. What’s more, it is 100% secure and clean without any spyware. Video Grabber is a free application that you can use to cut VOB files. It enables you to crop video from one timeline to another and you can get your wanted video segments at any length exactly. Apart from cropping files, it can serve as a simple video editor in your daily life. You can also use it to rotate videos in wrong orientation, remove watermarks from video, and create fabulous video effects. It gives supports to videos of any volume. Its performance is impressive and so is its quality maintenance. 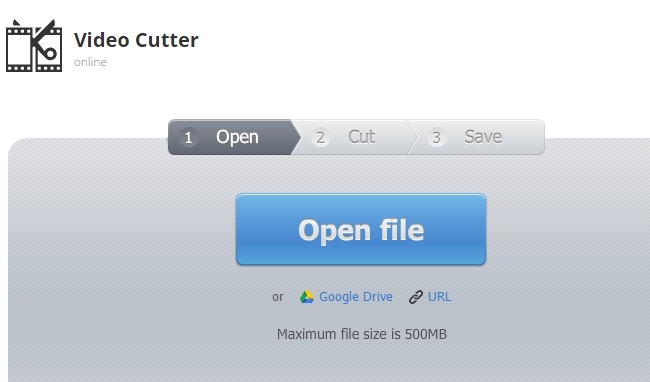 Online Video Cutter can be an alternative if you are looking for an easy-to-use and free application. It allows you to cut the VOB files to your desired area or change the frame proportions. It is very easy to operate and as long as you click the three buttons “Open”, “Cut”, and “Save”, you manage to split the VOB files. However, if you want to cut a video exceeding 500MB, it will fail to function and you will need to turn to other tools for help. The ways mentioned above not only are good at cutting VOB files, but also excellent in conducting other video editing. Especially for Video Converter Studio, this best VOB Cutter offers more comprehensive service, which can function as a video cutter, trimmer, converter, downloader and MV maker. With it, you can solve almost any editing-related problems.